Pablo Domínguez de María (Gran Canaria, Spain, 1974) studied Pharmacy and Chemistry in Madrid, where he also completed his PhD in Pharmacy, in the area of Biocatalysis (2002). 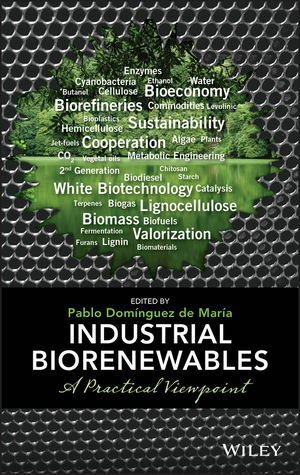 Later on he worked in R&D in industries (2003-2009), acquiring a multidisciplinary expertise in catalytic processes,?White Biotechnology, and aspects related to bio-based society and biomass utilization. Since July 2009 he leads a research group at the Institute of Technical and Macromolecular Chemistry (ITMC) of the RWTH Aachen University (Germany), actively working in topics like biotransformations, organocatalysis, lignocellulose-processing and biofuels. ?In addition, he has worked as freelance advisor on emerging technologies dealing with sustainable chemistry (www.sustainable-momentum.net).